“OK, Google” is a voice command which is used in your daily life if you like to command your phone through voice and now the feature has just been extended even more thanks to new third-party functionality support. As revealed by Venture Beat recently, by saying “OK, Google” users can now send messages through some third-party messaging applications, including some of the most popular ones. That includes WeChat, WhatsApp, Viber and more. Using “OK, Google” has been possible within Hangouts for a bit of time, but this expansion to third-party apps is a welcomed one, to be sure. It’s pretty easy, too. 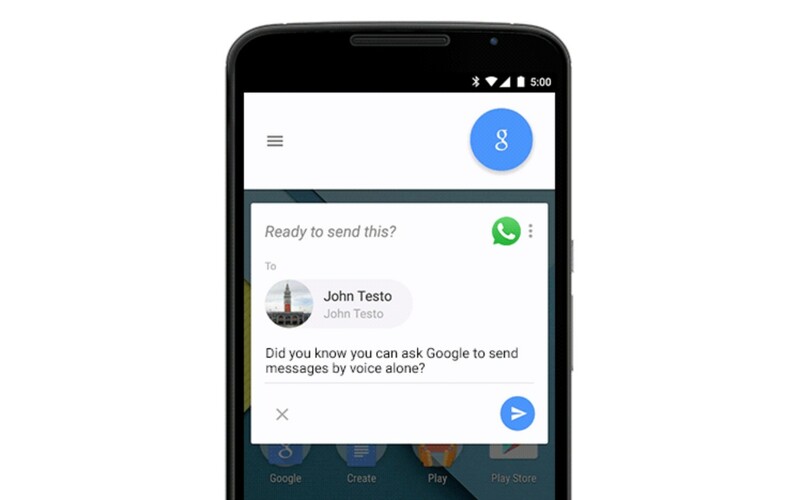 Simply state, “OK, Google, send a message using [messaging app’s name],” and then Google Now will ask you who you want to send it to. Once you select the person, just say what you want to send, it will get dictated, and then sent within the service originally selected.